According to a trusted source who's seen it with their own eyes, the Google Phone "is a certainty." And by "Google Phone" we don't simply mean another Android handset. We're talking about Google-branded hardware running a version of Android we haven't yet seen. But maybe the most intriguing bit is what someone said to our source offhandedly, that the current Android, the we all know and love, is not the "real" Android. So what makes for a "real" version of Android? 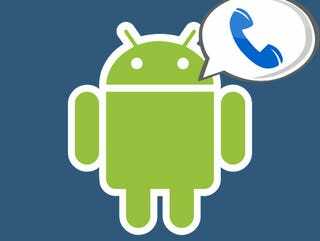 Our best guess is an Android OS with Google Voice at its heart.